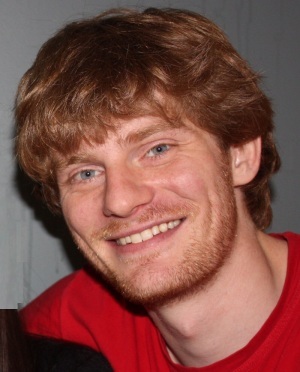 "The Natural Language Decathlon: Multitask Learning as Question Answering"
Richard Socher is Chief Scientist at Salesforce. He leads the company’s research efforts and brings state of the art artificial intelligence solutions into the platform. Prior, Richard was an adjunct professor at the Stanford Computer Science Department and the CEO and founder of MetaMind, a startup acquired by Salesforce in April 2016. MetaMind’s deep learning AI platform analyzes, labels and makes predictions on image and text data so businesses can make smarter, faster and more accurate decisions. Richard was awarded the Distinguished Application Paper Award at the International Conference on Machine Learning (ICML) 2011, the 2011 Yahoo! Key Scientific Challenges Award, a Microsoft Research PhD Fellowship in 2012, a 2013 "Magic Grant" from the Brown Institute for Media Innovation, the best Stanford CS PhD thesis award 2014 and the 2014 GigaOM Structure Award. He is currently a member of the World Economic Forum's 'Young Global Leaders' Class of 2017 and on the Board of Directors for the Global Fund for Women. Forbes article with more info about his bio. New York Times article on a project at Salesforce Research. CS224n - NLP with Deep Learning class he used to teach. TEDx talk about where AI is today and where it's going. My Twitter account for announcements and photos.